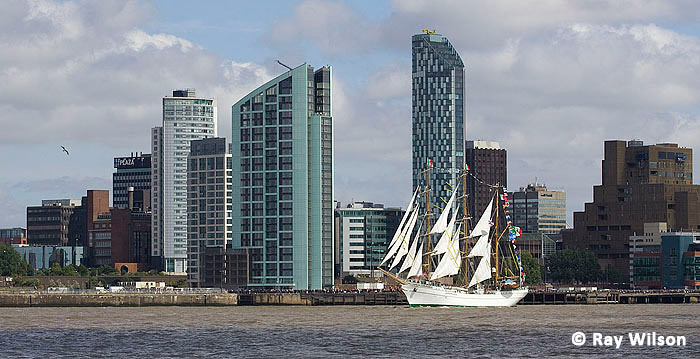 As part of its celebrations as European capital of culture, Liverpool played host to the start of the Tall Ships Race - the largest annual gathering of large sailing ships in the world. 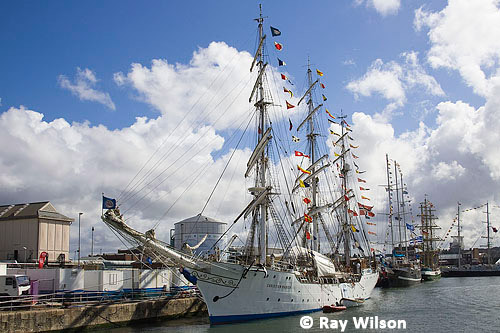 The Tall Ships Race is an annual event in European waters which has run since 1956. 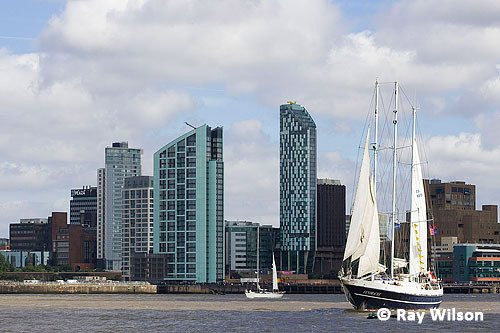 It visits different ports each year and last visited Liverpool in 1992. 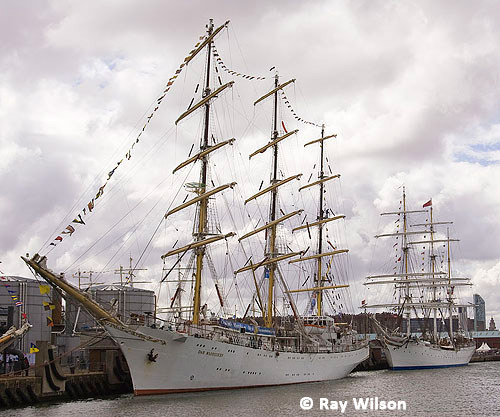 The ships were on display at their moorings in the docks over the weekend. 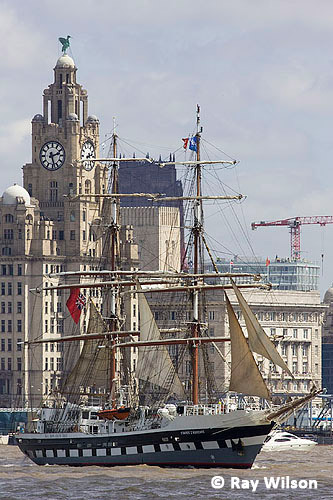 The large Class A ships were in the Wellington Dock to the north of the city centre. 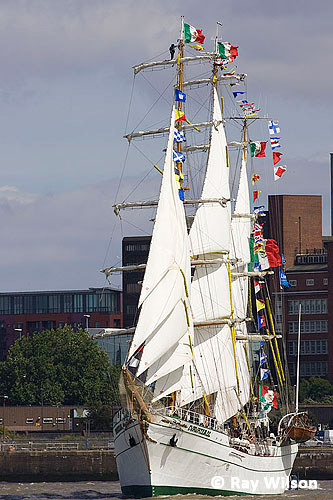 for its commission in 2000, it is Britain's newest tall ship. 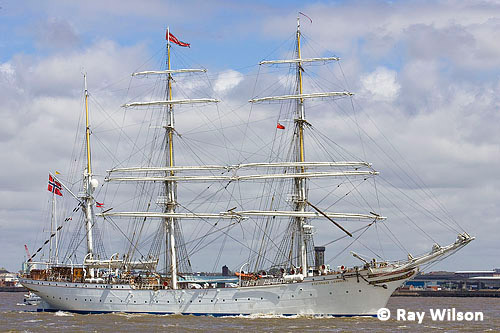 Statsraad Lehmkuhl, built in 1914, is also Norway's oldest operational square-rigged sailing ship. 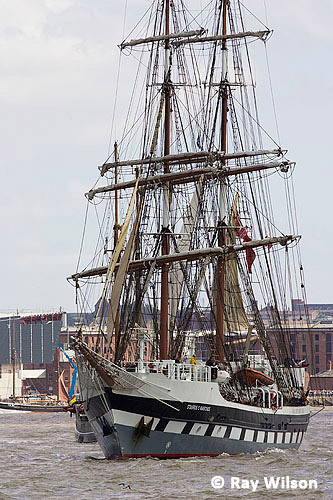 Stavros S Niarchos is owned by the Tall Ships Youth Trust charity. 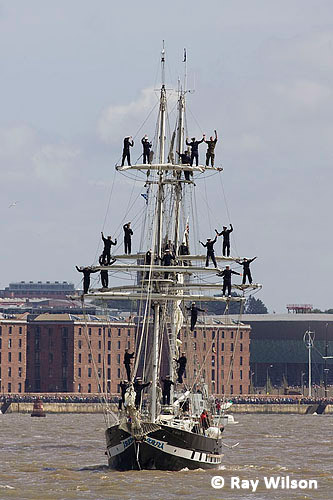 During the tall ships race it was crewed by 20 professional plus 48 young people funded by Liverpool City Council. 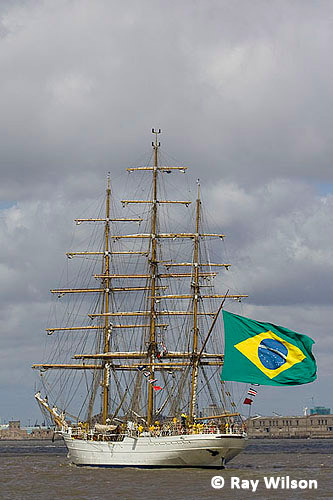 Owned by the Brazilian Navy, this ship easily won the prize for the largest and most ostentatious flag. 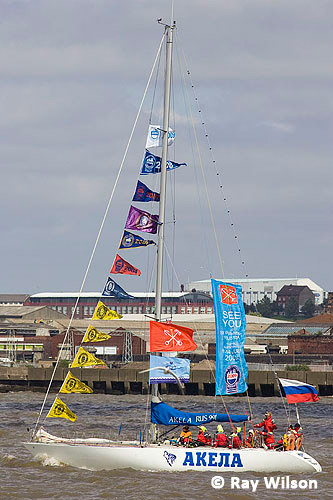 It's big enough to act as a main sail for most vessels! 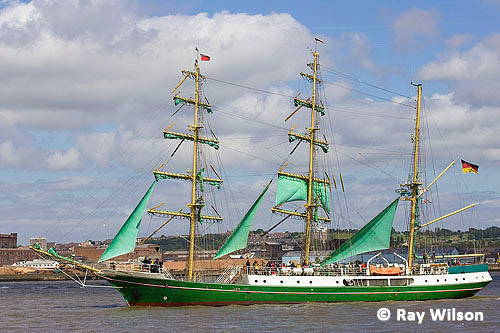 This distinctive vessel, after spending the first 80 years of her life as the Kiel lightship, was converted to a sailing ship in 1986 and re-named after the German scientist, naturalist and explorer. 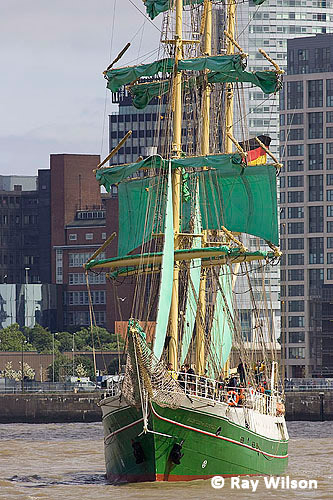 Built in Bilbao, Spain in 1982, Cuauhtemoc is owned by the Mexican Navy and is named after the last Aztec Emperor. 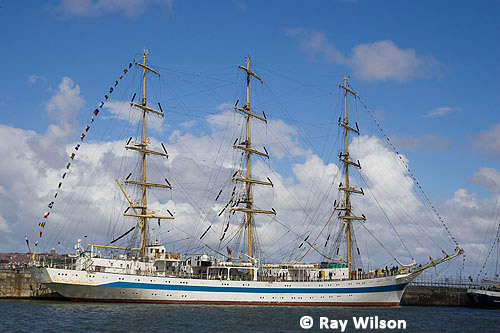 The flagship of the Sail Training Association of Germany (STAG) whose role is to visit foreign ports as a goodwill ambassador with young trainees. 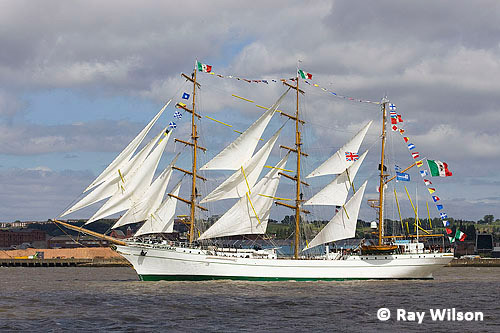 Cuauhtemoc is not only a beautiful ship, but is also fast. 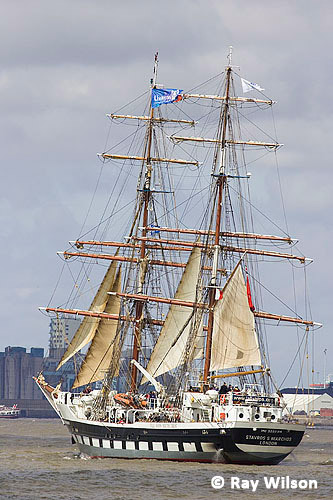 It has won the Tall Ships Race on two previous occassions. 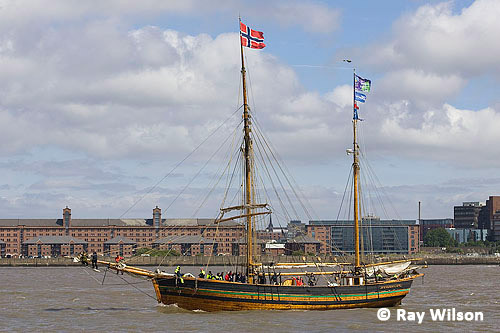 Built in 1889, Svanhild is one of the few wooden-hulled ships in the race. 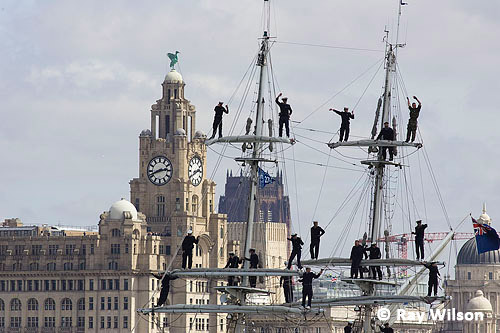 It was originally built with a single mast and converted in 1925. 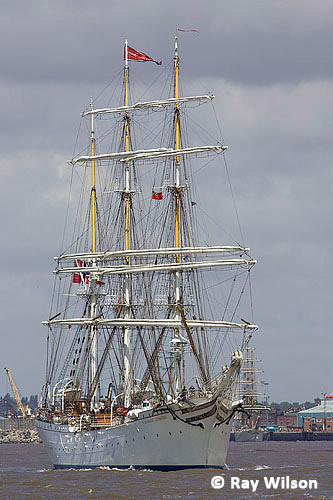 For most of its life it worked as a cargo freighter along the Norwegian coast. 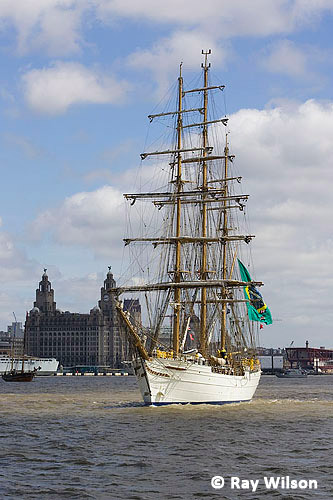 After retiring she undertook a circumnavigation of the world from 1985-1988 and has been extensively restored. 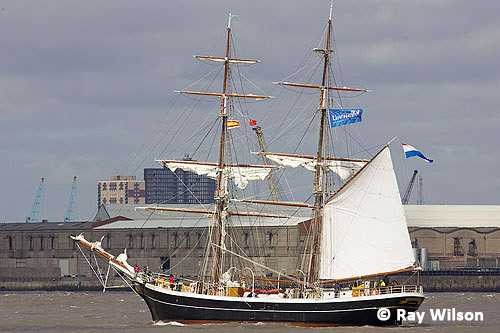 Eendracht was built in 1989 and is used for the training of Dutch naval officers. 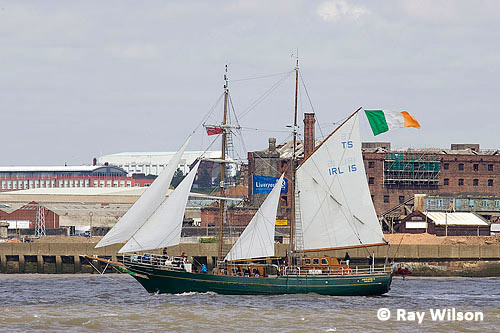 This pretty little brigantine is owned by the Irish Government but is managed as a training vessel by Coiste an Asgard, a company which is a founding member of Sail Training International. 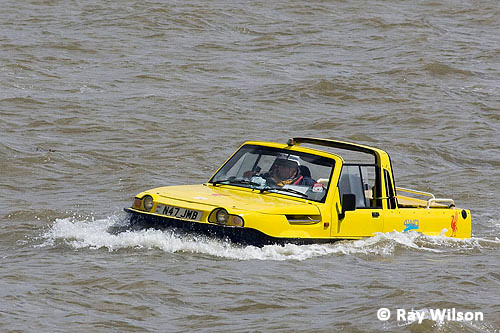 An amphibious car also chuntered past. 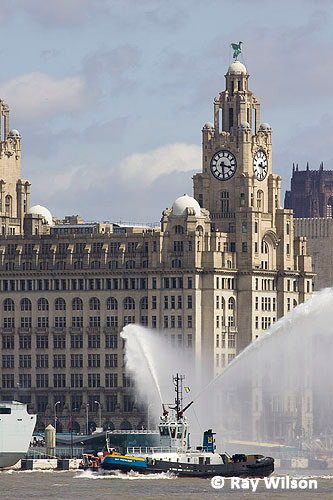 It didn't look very sea-worthy and the choppy water looked in danger of overwhelming it. 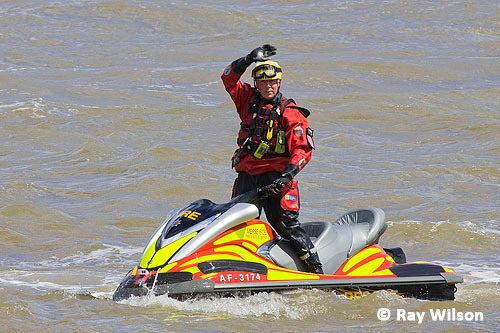 I've never seen a fireman on a jet-ski before! 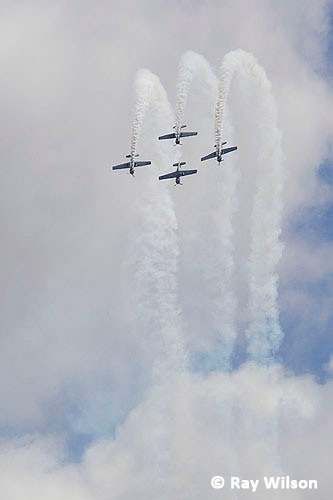 The Royal Navy were also in attendance. 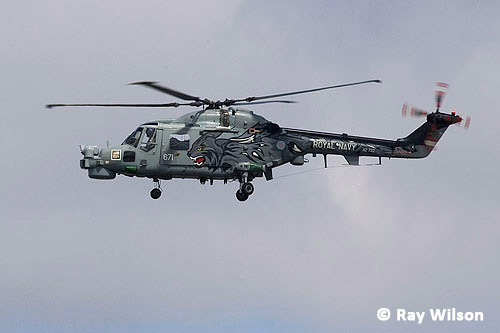 I like the painting on the side of this helicopter! 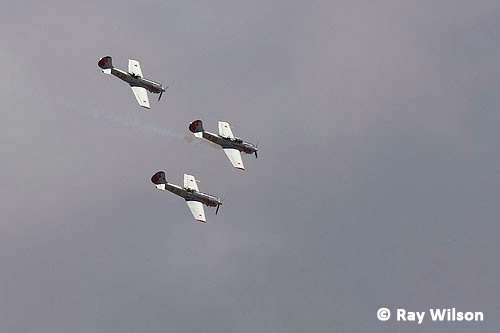 A group replica Russian Yak3 World War II fighter planes gave a display of formation flying and acrobatics.